This article is the second of those preparing the ground for a review of the new data on the last phase of Eelam War IV served up by access to the despatches of the British Defence Attache Lt. Col. Gash (the first being an analysis of Prabhakaran’s strategy of assassinations). It concentrates on the character of the state of Tamil Eelam­ throughout its period of existence, viz. from 1990-2009. It by-passes the pre-history when the Tamil New Tigers-become-LTTE was an incipient insurgent force competing with other Tamil militant organisations and with the GoSL and or the IPKF for control of terrain. Tamil Eelam­ in its fuller emergent state form could be said to have originated in early 1990 when the IPKF forces departed and the LTTE insurgents gained control of most of the Jaffna Peninsula. 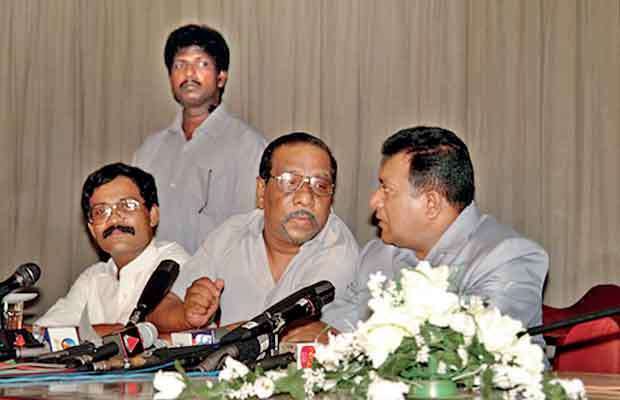 This span of control increased in mid-1990s when the Tiger insurgents out-manoeuvred the Premadasa government and seized control of most of the Eastern Province after attacking and seizing several police stations and then massacring around 600 policemen who had surrendered. This spatial reach was reduced in mid-late 1995 when the SL Army attacked from the Palaly enclave and seized control of the Jaffna Peninsula. But it then expanded again when the Tiger forces over-ran the SL Army base at Mullaitivu in 1996 and then took control of Kilinochchi town and eventually the huge army base at Elephant Pass in 1999-2000. However, the LTTE and its supporters abroad always had larger territorial ambitions and its maps of the Eelam project were in step with the “traditional homelands” claim presented by the ITAK (Federal Party) from 1949 onwards – thereby embracing Puttalam and Chilaw in the expansive world-view typical of all fascist states in their embryonic stage. Thus, from 1990 one witnesses the LTTE setting up an independent administration in its territories with Velupillai Prabhakaran as its “talaivar” or Supreme Leader and its military commanders as the dominant authority in all regional centres. There was a civil administration consisting of the previous Tamil civilians who had served the government of Sri Lanka and who retained the titles of yesteryear. Over time the LTTE inserted some of its own personnel alongside some of these posts or displaced these persons with their own appointees. This process involved the creation and or overseeing of the judicial organisation as well. The law courts were LTTE run and instruments of control. The LTTE’s consolidation of state authority was enhanced by its military successes in the period 1996-2001. It reached out for international status with considerable assistance from Norway and the latter’s point man Eric Solheim. 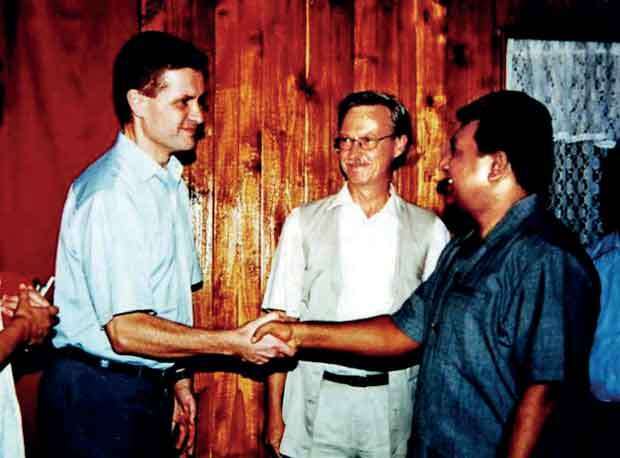 The military clout secured after they brought the Kumaratunga government to its knees in 1999-2001 enabled the LTTE to sign a ceasefire via “A Memoranda of Understanding” in April 2002 in formalities associated with all the characteristics of a state. This status was beamed to the whole world on10th April 2002 when media personnel from many countries assembled at Kilinochchi to witness the Talaivar Prabhakaran, his de facto ‘Foreign Minister’ Anton Balasingham and the Political Commissar, Thamil Chelvam, hold court in solemn splendour. Tamil Eelam under the LTTE was an efficient authoritarian state run by a dictator who commanded widespread respect among its citizenry. Its propaganda capacities were as innovative as remarkable. 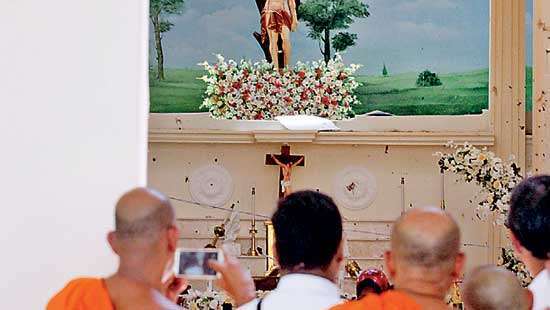 Central to its process of cultivating respect was the homage paid to its fighting dead, the maaveerar, at a ceremony held on the 27th November every year at the 21 thuyilum ilam (“resting houses”) in LTTE territory – sites that were regarded as temples. 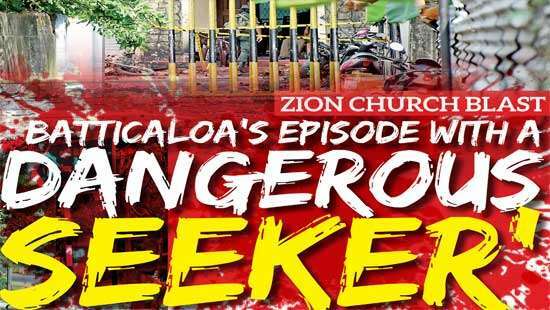 These events were preceded by several weeks of intense propaganda work and appropriate music ‘blanketing’ the air waves everywhere and maaveerar-sheds depicting the dead maaveerar from each locality at judicious locations in each locality. Remarkably, as I can attest from my experience in Jaffna Peninsula in late November 2004, such processes and events devoted to the deepening of Tamilness and obeisance to the talaivar and his martyr soldiers were freely pursued within GoSL territory as well. An Office of Great Heroes (maaveerar) was set up in 1995 and the head was an experienced grey-haired official whose no-nonsense capacities impressed me greatly when I met him briefly in Kilinochchi in 2004. 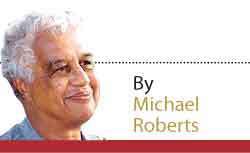 The LTTE was well-served by the longstanding history of education in the Peninsula and such centres as Batticaloa several generational cohorts of public servants were available to implement its programmes. Tamil Eelam was also an innovative state. State-of-the-art underground hospitals had been constructed in Jaffna town in the early 1990s; while the underground complex built subsequently at Mullaitivu was impressive. Its innovative building of fast shallow water attack boats gave its Sea Tigers considerable clout as a brown water navy. Its commited suicide cadre in the Black Tigers sharpened the LTTE’s raiding capacity as well as assassination work. 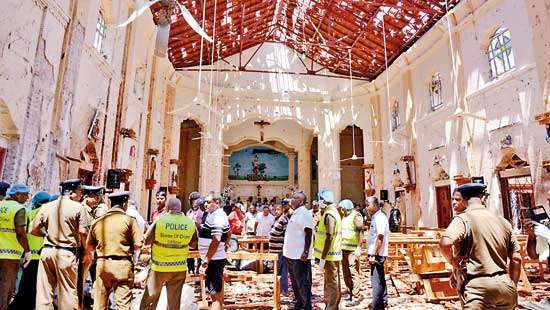 The devastation of the Central Bank in Colombo Fort on 31 January 1996 and the Tamil commando strike on Katunayake airport on 24th July 2001 mark the capacity to inflict clinical assaults displayed by these personnel. Through the good offices of Uthayam and guidance form Tamil friends I travelled south from Jaffna to Kilinochchi with these friends on the 26th November and in doing so passed through border controls typical maintained by the government of Sri Lanka and that of Tamil Eelam that were typical of all such practices world-wide (though not quite as mind-blowing as those I experienced at Check Point Charlie in Berlin in 1976). The first event I attended at Kilinochchi was the opening of a Media Centre on the 26th where Thamil Chelvam was the main speaker. However, my principal focus was the huge gathering of perhaps 150,000 people at the Kanagapuram Thuyilumilam south of the town who assembled at this ‘temple’ in homage to their maaveerar on that ‘sacred’ day, 27th November. The organisation at both events was exemplary. The arrangements on the 27th indicated attention to spatial requirements and participant comfort. Again, the restaurants in town and the bus services were state run and well-run. I was intrigued by the occasional scenes of cyclists and tractors bearing two coconut seedlings, apparently gifts to householders on that day the 27th November which would therefore boost the productive capacity of the smallholdings everywhere – a simple innovation, yet so useful. In conversations in English with two Health Department officials who joined our little party at meals and in interviewing Thiru Master (a senior LTTE counsellor and one of the speakers at the media event) at his house, I was peppered with complaints about GoSL activities. These men were feisty and itching to return to war. These experiences helped me understand a point dinned into my ears subsequently (2010) by Anoma Rajakaruna on the foundations provided by her frequent visits to Tamil Eelam on feminist projects during the ceasefire period 2002-06. The LTTE state, she said, had its fingers everywhere and most people were dependent on its ‘arms’ in one way or another – sometimes in several ways. Muralidhar Reddy and Silan Kadirgamar were therefore on the ball when (in conversations with me in 2010) they insisted that in 2006-to-2008 most of the residents in LTTE terrain were hostile to GoSL and in support of the LTTE’s diktats. Nor must we forget that the LTTE had spent time and effort in regimenting the ordinary civilians in martial formations through the makkal padai training arrangements. Thus, a martial orientation had been instilled among the ordinary citizens. This was a state geared for war. One illustration of this commitment was provided by the sarong-clad manager of the guest house at which I was staying. He was an Indian Tamil from the Kandy locality whose family had migrated to the Vanni way back in the 1970s or so. His son had died as a Tiger fighter and there was a little shrine in the son’s memory in the guest-house vestibule. The father – a middle-aged man, perhaps in his 50s – was unequivocal if the LTTE asked him to join their armed forces, he would gladly join. However, this little sign highlights a fundamental shortfall. The currency in use in Tamil Eelam was the Sri Lankan rupee. I paid for my meals and bought books and disks at Kilinochchi with my stock of rupees. Why, then, had there been no change on this front answer because a significant number of residents in Tamil Eelam were either pensioners of the SL state or were serving officers in departments subject to directives from Colombo. They were recipients of pensions and or salaries from the government of Colombo. While dependent on Colombo in this manner, they took orders from the LTTE. Thus, one pillar of the LTTE economy was the cash flowing in regular fashion from the GoSL. That foundation, and its tell-tell sign, the ubiquitous Sri Lankan rupee, marked an outstanding shortfall; in fact, it was an Awful Sore on the forehead of the Tamil Eelam body politic. The LTTE state, moreover, drew some of its wherewithal in food supplies and medicinal needs from the stocks despatched to ‘their citizens’ by the GoSL arms working in conjunction with UN and other humanitarian agencies. The government centred in Colombo was marking asserting its sovereign rights in this manner. The supplies were so useful that the LTTE chose to let them flow in. In this concession and in their continued dependence on the rupee as currency, they were conceding limits on the fullness of their statehood. That was not a major concern for talaivar Prabhakaran in 2006. Bolstered by past success, he and his commanders were certain that they would finalize their nation-status by waging war. Ramesh, the Tiger Propaganda Chief whom I met in Kilinochchi in November moved to Mullaitivu in December to prepare for this step. 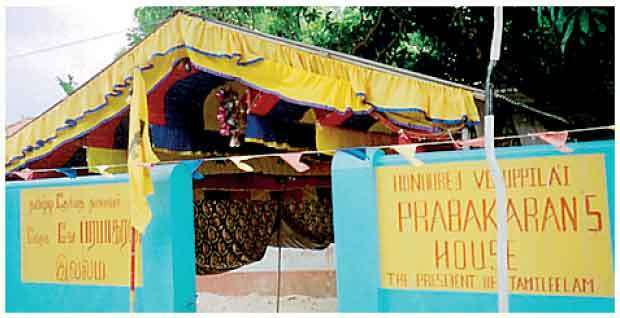 The ravages of the tsunami of 26th December that year delayed the move. However, the LTTE machinery of state regrouped and initiated Eelam War IV at Mavil Aru in August 2006.